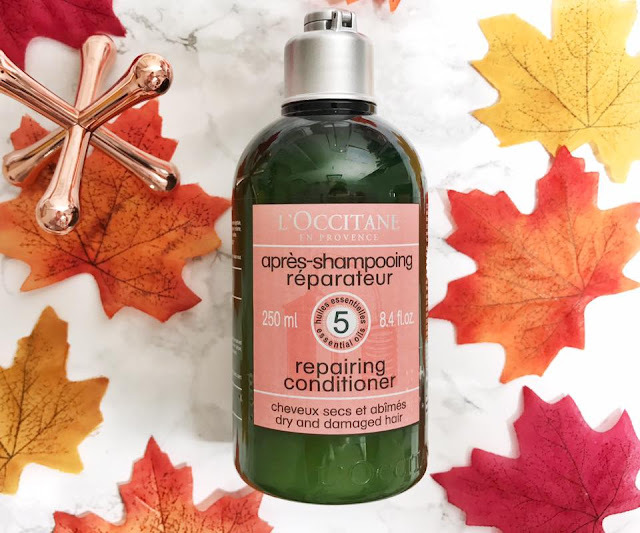 L'Occitane's repairing shampoo & conditioner is designed to prevent breakage by using a mixture of five essential oils and regenerative amino acids which helps strengthen, repair and protect your hair. 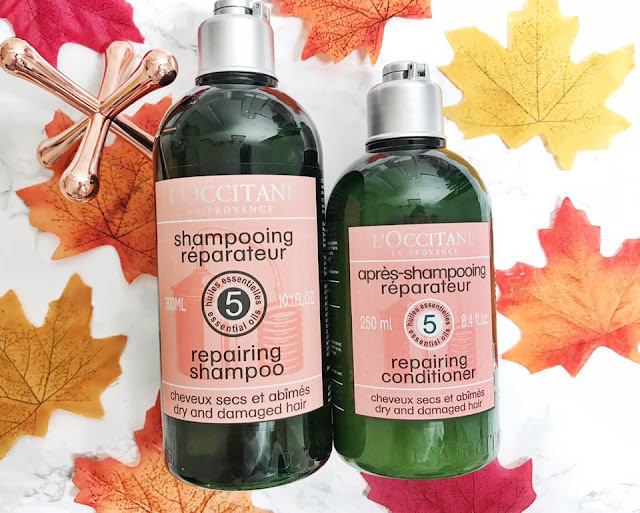 L'Occitane is a brand I have been hearing a lot about recently so when they contacted me to try out their repairing shampoo & conditioner I must admit I squealed a little from excitement. The five essential oils included are ylang-ylang, sweet orange; lavender; geranium and angelica giving these products a floral and fruity scent. What I love about the scent of these products is they aren't over powering at all, the scent was also left in my hair even after a few days of washing it. When I first used the shampoo & conditioner my hair was so dry and damaged. If I am totally honest I don't do anything to look after my hair other then wash it with whatever shampoo & conditioner is on offer, so I didn't know what to expect from these! One thing I really liked about these products is the thick lather, I really don't enjoy shampoo & conditioners when there isn't much of a lather because it makes me feel as though my hair isn't getting cleaned properly. After I had finished washing my hair in the shower I put it into a low ponytail and left my hair to air dry for a couple of hours. My hair is ridiculously long so blowdrying takes too long! Once it was slightly dryer I decided I was too impatient to wait to see how my hair looked and felt so I ended up spending 40 minutes blow drying my hair. Once my hair was completely dry I couldn't believe how soft and silky it felt, it felt so nourished and healthy almost as if I had used an intense repairing hair mask. My hair also felt much lighter and voluminous. I think it is more than fair to say I love L'Occitanes repairing shampoo and conditioner. 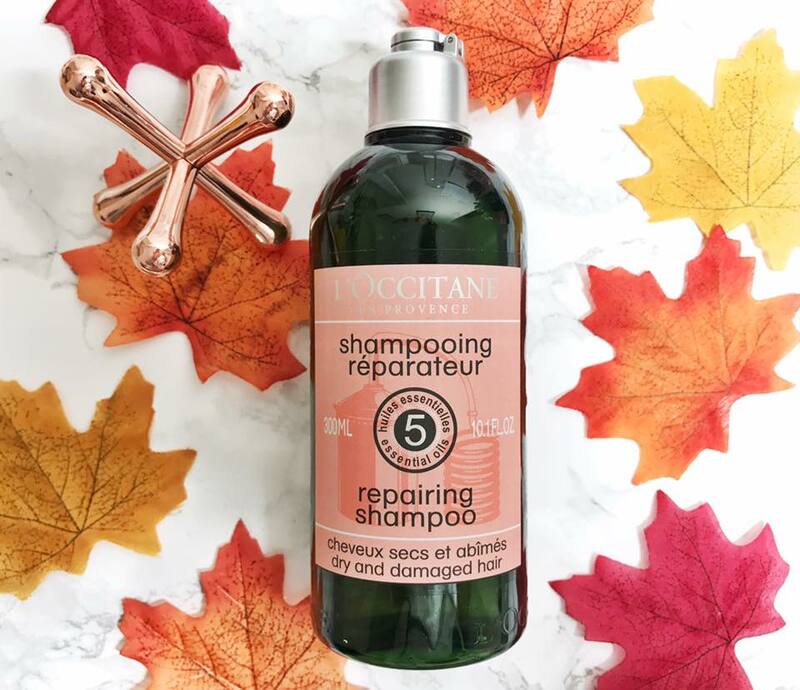 The shampoo retails for £18 and the conditioner retails for £19, they are on the more expensive side but trust me when I say, they are worth every penny! After trying out these products it has made me want to try so many more from them! L'Occitane also have some gorgeous Christmas Gifts For Women, perfect for the important ladies in our lives, I couldn't recommend this brand enough especially if you want to buy a more luxe present for someone special. I must say I personally have my eye on their Classic Beauty Advent Calendar! Have you ever tried anything from L'Occitane before? I've never tried this product but I love the brand!